Committing to solar installation is a big decision for many residents and it was a tough call for Lynn and Greg Gill, but once they opted for Sunworks, they couldn’t have been happier. Before agreeing to move forward with a solar installation, you’ll want to make sure the company you pick knows what it is doing. Live in the Sacramento area and thinking of getting solar panels? This guide will help you through your shopping journey. When it comes to regions across United States, few are as solar-friendly as the Sacramento area. The days of ugly residential solar installations are long gone — at least in the Sacramento area. Learn more about how companies like Sunworks are making solar installations attractive. 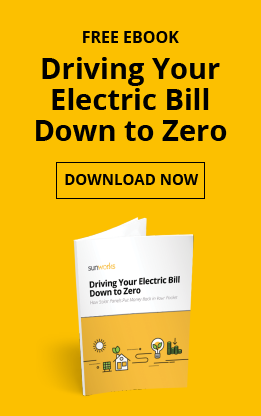 In September of 2016, Nevada solar power customers and the state’s solar industry as a whole breathed a collective sigh of relief as the NPUC issued a ruling that will allow homeowners with active net metering applications to be “grandfathered” in to the state’s previous net metering rate structure at full credit. Solar energy continues to grow across the Sacramento region and is now becoming commonplace everywhere. Forty years ago, most homeowners and businesses couldn’t afford to install a solar energy system to generate their own electricity. But today, thanks to large-scale advancements in how solar energy systems are produced, installed, and maintained, more people than ever are adopting solar, and the cost of solar panels and systems has dropped dramatically, enabling people to realize a continually increasing return on their investment (ROI). Florida voters spoke loud and clear in a vote to approve a significant solar tax break for Florida businesses. The tax break currently exists for residential property owners, but is now applicable to businesses as a way of encouraging them to utilize solar energy.